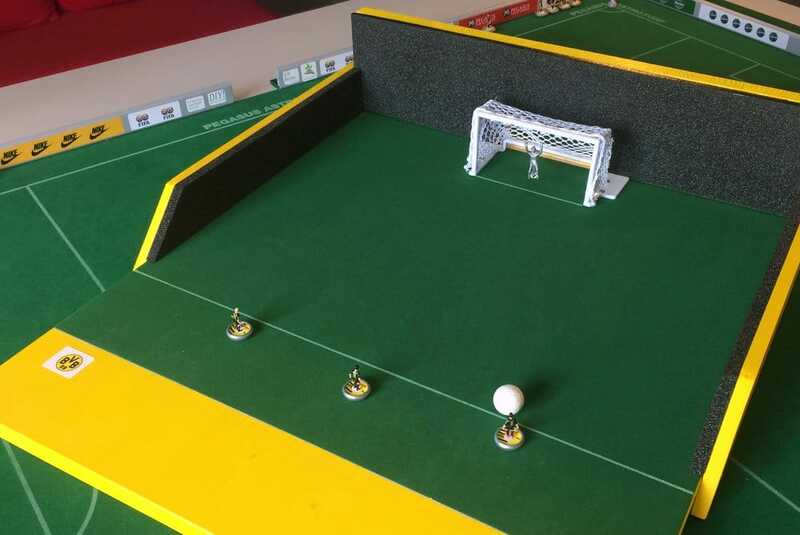 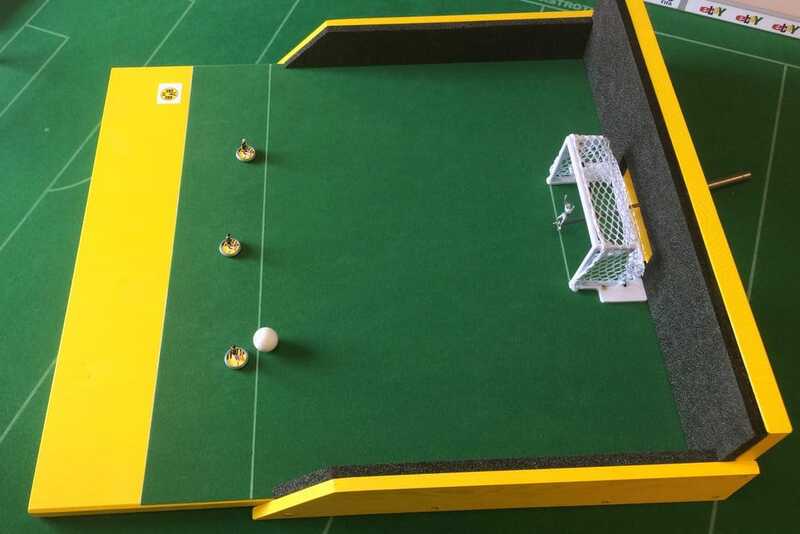 Perform a thrilling shoot-out with two players or practice your shooting techniques: I constructed this Subbuteo shooting arena for some Table Football action in-between times. 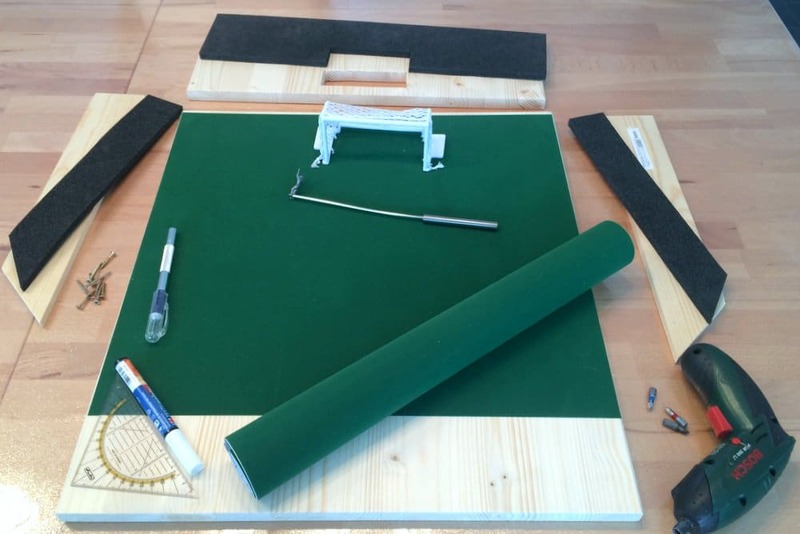 I made the pitch with d-c-fix Sticky Back Velours. 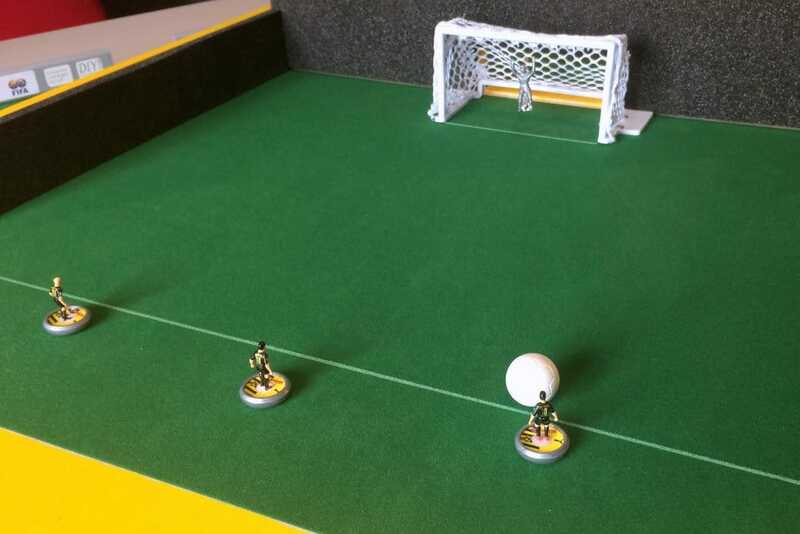 It is not exactly Astroturf material but adequate for my purpose.